The vacuum robot can be used for large and small surfaces. 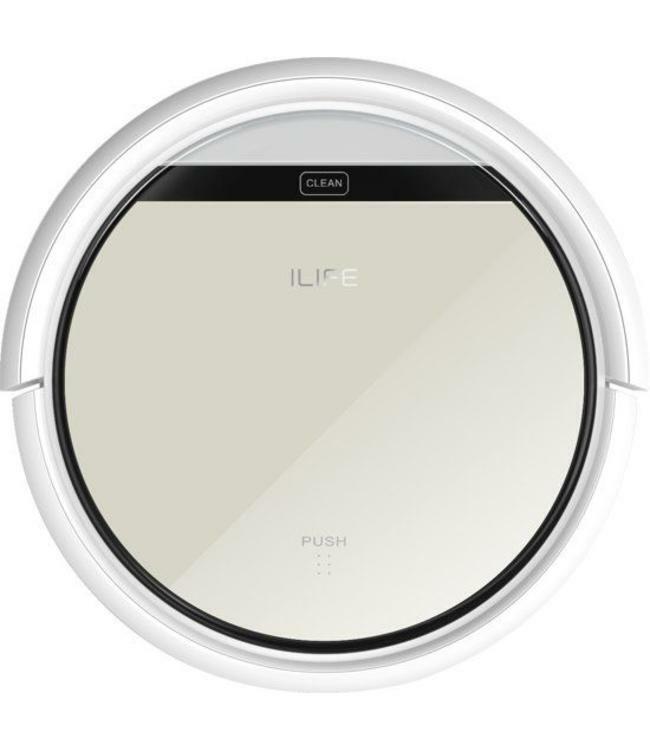 In suction mode, the iLife V50 thoroughly cleans hard floors and carpets from dirt, dust and hair. In wipe mode, the robot cleans laminate, parquet, stone floors, tiles and other hard floors even more thoroughly. The robot hoover has two long side brushes. Thus, it ensures an optimum cleaning result in corners and along edges. Dust and dirt are reliably collected in the 300 ml dust collector. For an intensive cleaning along the walls, the "edge mode" can be selected. Thanks to a height of only 8.1 cm, robot easily gets under furniture. Thus, it cleans even those places that are difficult to access with the conventional vacuum cleaner. The iLife V50 can not only vacuum, but also wipe at the same time. A moistened microfiber cloth can be placed on the bottom of the device. The cleaning of hard floors becomes particularly thorough. Spot Cleaning: The robot vacuum cleaner cleans a particular spot very thoroughly. Edge mode: The robot hoover cleans along walls and edges for a convincing cleaning result even in corners. The remote control also allows you to set the start time for a daily, automatic cleaning cycle. After cleaning, the robot automatically returns to the charging station to recharge. Anti-fall and obstacle sensors ensure that the robot recognizes sills and obstacles at an early stage. As a result, he does not fall down and deals gently with furniture.